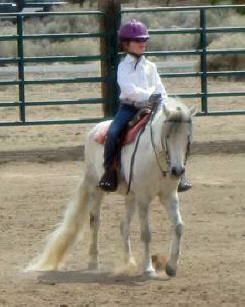 The girls and their students have been super busy and successful this show season. Great Job to Roxanne Strahan and Leslie Ayers for winning their classes at the January ISHA Horse Show at the UC Davis campus in California. 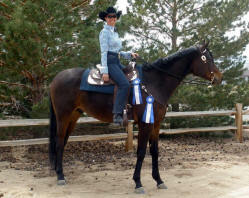 They also showed well at the ISHA show in February at Stanford, Roxanne ending up as co-High Point for the Sunday show. Western Seat Rider, Western Horsemanship Rider, Comstock Junior Limited Western Champion and the Perpetual Trophy for All Around High Point Junior Rider on a Half Arabian! Kiri Kin Tha+ has placed fifth in the nation in the US Dressage Federation All-Breed Awards for the Arabian Horse Association at Third Level. on August 22nd at Fuji Park. and Okie Dokie in style with the blue ribbons. 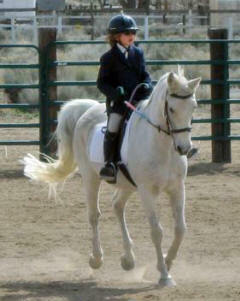 Dinah and Olivia Collins on their way to a blue ribbon at the Sagebrush Show. To Roxanne Strahan, on February 27th and 28th at the IHSA Show at Stanford. Novice Flat Winner, both days! Thirteen Riders each class. Big congrats to the UNR team, Reserve Team Hi-Point. High Point English Rider (tied with top Stanford rider). Roxanne rode over fences and on the flat.